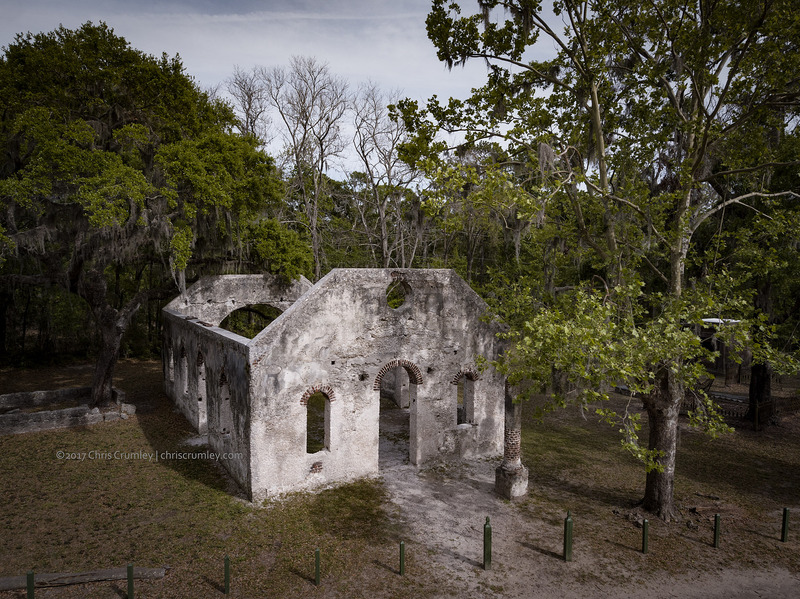 Another southern plantation colonial-era church, the Chapel of Ease on St Helena Island. The chapels of ease were constructed on or near the plantations since the plantations were located far from churches in towns. Constructed between 1742 and 1757, most of this structure was destroyed by a forest fire in 1886. Some of the "Big Chill" movie was filmed here.